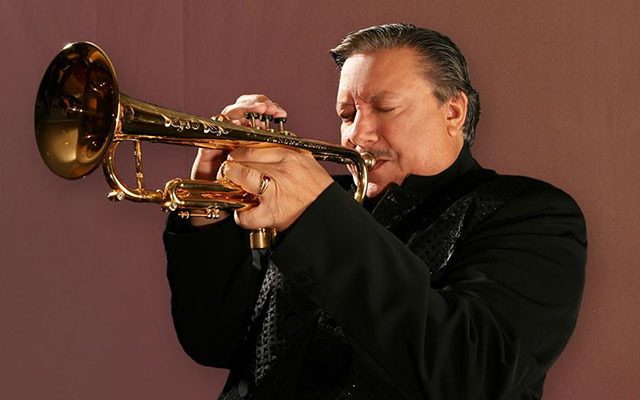 Wednesday, December 2, 2015 – 8pm at 92nd St. Y – 1395 Lexington Ave.
Cuban trumpeter Arturo Sandoval became a protégé of the legendary jazz master Dizzy Gillespie shortly after the two first met in Havana in 1977, when the American jazzman came to Cuba to play a concert. It was the start of a friendship and creative inspiration that lasted 16 years. Now one of the world’s foremost jazz trumpeters, Arturo Sandoval is the winner of 10 Grammys, 6 Billboard Awards and is the 2013 recipient of the Presidential Medal of Freedom. The program will be announced from the stage. There will be no intermission. Arturo Sandoval’s December concert will be a special tribute to his teacher and mentor Dizzy Gillespie. A protégé of the legendary jazz master, his 2012 album Dear Diz (Every Day I Think of You) earned Sandoval his 10th Grammy Award. Sandoval was born in Artemisa, a small town in the outskirts of Havana, Cuba, in 1949—just two years after Gillespie became the first musician to bring Latin influences into American Jazz. The two met when Gillespie visited Havana in 1977, when Sandoval took the opportunity to play trumpet for his hero, and remained close until Gillespie’s death. “I always considered that a gift from God — to be able to meet and become a close friend of your hero,” Sandoval said. Today, Sandoval remains one of the world’s most acknowledged guardians of jazz trumpet and flugelhorn, as well as a renowned classical artist, pianist, and composer. A dynamic and vivacious performer, Sandoval is also the 2013 recipient of the Presidential Medal of Freedom. This concert is a part of World Music Institute’s Masters of Cuban Music Series Co-presented by World Music Institute and 92Y.